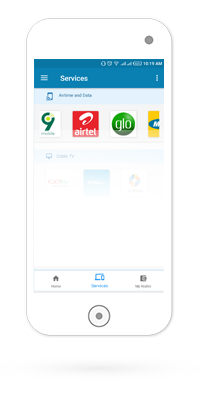 Recharge with airtime top-up or PIN for MTN, Glo, Etisalat and Airtel. Pay for various utility bills secured, super fast, at your comfort. Pay for electricity, TV subscriptions, internet data bundles and more directly from your Payvice account Setup recurring payment and forget about paying bills again.